In the quiet village of Kalinagar, West Bengal, young Paromita was at home helping her mother with the household chores at an hour that she would have been in school had it been the year before. Paromita Mondal, 13, was a student of class 6 last year at the local Raghudevpur Elokeshi Eakatan Balika Vidyalaya high school. Both her parents, Sumithra and Anath Mondal sell flowers each morning at the local market, earning about 100-150 rupees a day. She has an older brother who dropped out of school a while ago. Paromita too had dropped out of school just last year being unable to pay the fees, just like her brother. Amrita SeRVe village coordinator for Kalinagar, Mr Prahallad Naskar, who learnt of this first met the Mondal family to convince them that Paromita needed to get back to school for a brighter future for herself and the family. Paromita was delighted at the thought of getting back to school. To make this possible, Prahallad met the principal of the school and requested him to consider Paromita’s case differently and make an exception. On Prahallad’s request, he agreed to reduce the yearly fees from Rs.600 to Rs.240. This was definitely a step of hope but was not the solution. Prahallad met the principal again, this time with Mr Mondal, and described Paromita’s desire to study further and the financial conditions of the family. Seeing Paromita’s yearning to get back to school, the school authorities agreed not only to waver her fee but to also give her a free admission in class 7. 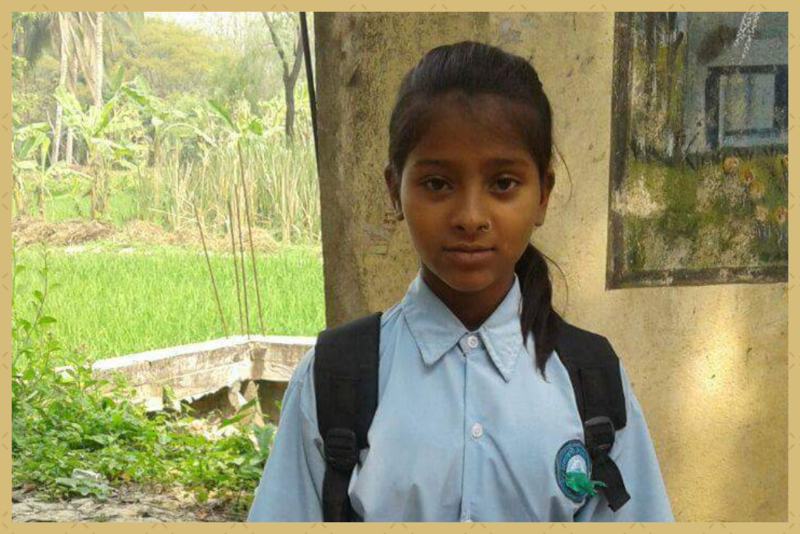 On the morning of 16th March, Paromita was in the morning assembly of the school in uniform, away from the kitchen of her home, as Amrita SeRVe helped her lighten up her dreams. This would be just the beginning as Amrita SeRVe is trying to get 2 other girls back to school.